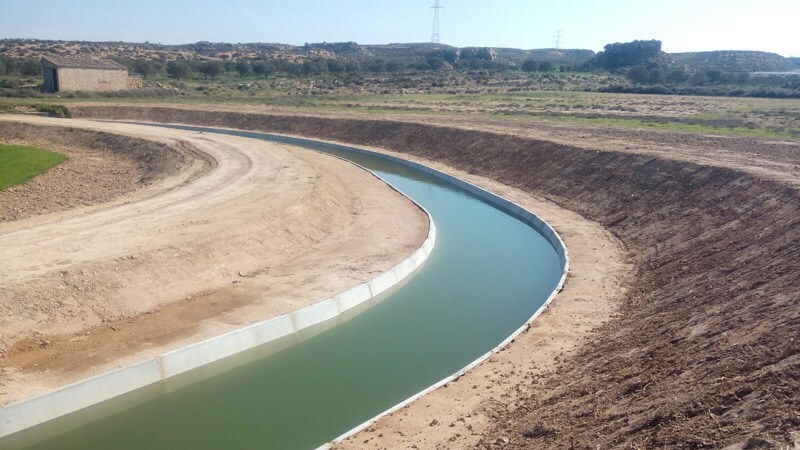 » Portfolio » Works of general hydraulic infrastructure of the irrigable area of the new Civán Channel. Zaragoza. Spain. The hydraulic infrastructure is in Caspe, province of Zaragoza, Spain. 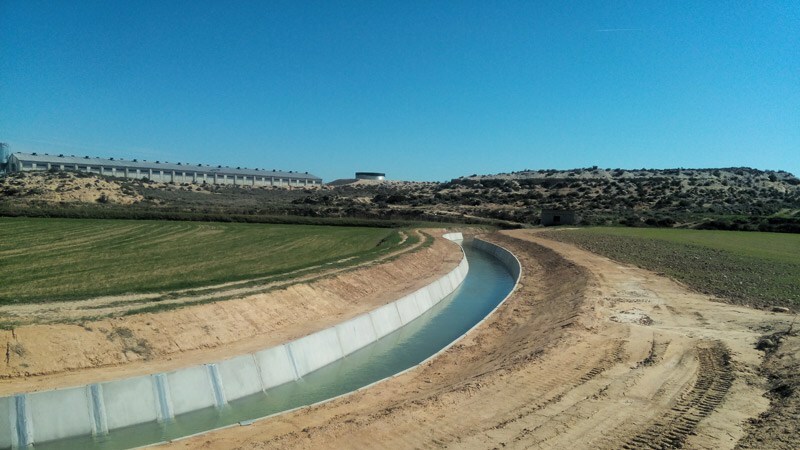 This is a work executed by Confederación Hidrográfica del Ebro (Ebro Water Confederation) for Caspe Irrigation Community. The work affects two main channels (Civán and Caspe) that start in Caspe dam and converge in a pool, continuing in a single conduction. • To exploit properly the Caspe Channel. For that, a drainage will be constructed until the pool that connects to the Civán Channel. • To coat partially the Civán Channel, crossing drains under it, avoiding damage on it. 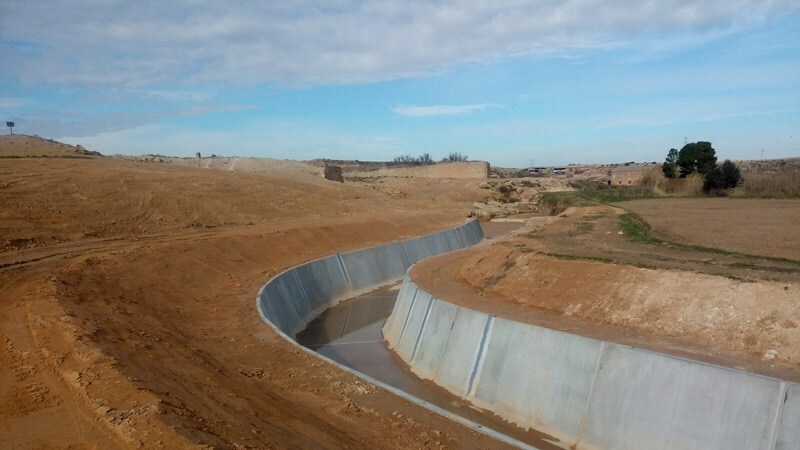 • Works of energy dissipation in the pipes of the new Caspe Channel. • Works of improvement of the Channel to modify the supply system and adapt its draft. 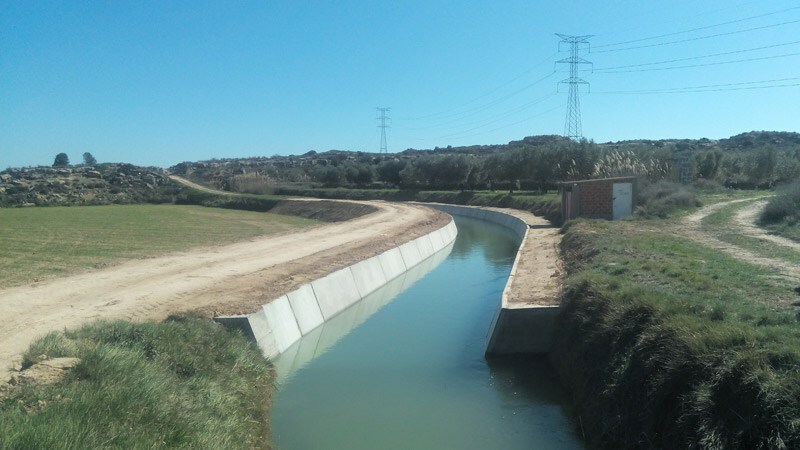 • Works of drainage of the New Civán Channel. • Drain steps under Civán Ditch.